Few people writing in America today have as deep a grasp of metaphysics as Charles Upton. We commend his new book to anyone interested in spiritual psychology, Sufism, and Islam. It is a well-written in depth study of the spiritual psychology inherent in traditional Sufi practice. The spiritual life must obviously take psychology into account; if we want to do good and know truth, we will have to understand what in us supports this intent, and what stands in the way of it. But after Jungian Psychology, Humanistic Psychology, Transpersonal Psychology, and Ken Wilber’s Integral Psychology, the reader may wonder what remains to be said vis-à-vis psychology and the Spiritual Path. 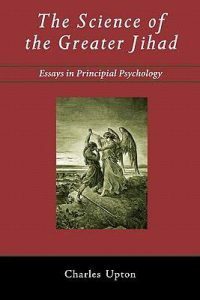 In the author’s opinion, what remains is to present a psychology rooted in traditional metaphysics, one that he has termed “Principial Psychology”. This psychology is not essentially new; elements of it are to be found in every traditional path; but it has rarely been so explicitly defined. Principial Psychology does have certain affinities with Transpersonal Psychology, and with Integral Psychology as well; all three emphasize the attainment of self-transcendence. The difference is that Transpersonal and Integral Psychology draw various elements from the faith traditions, while Principial Psychology requires that we actually follow one of them. Principial Psychology is based on the premise that the different “faculties” of the psyche that the Scholastic psychologists studied–thought, feeling, will, memory, imagination–as well as the various “archetypes” that Jung discovered but didn’t entirely understand, identifiable in some ways with the levels of the human psychospiritual makeup in Sufi doctrine-are psychic reflections of timeless spiritual or metaphysical principles that exist in a world beyond the psychic dimension entirely. In terms of the human microcosm, these principles are the loom upon which the psyche is woven, and the body as well; in terms of the macrocosm, they are the eternal designs that underlie, and guide, the greater universe of which we are a part. From the point-of-view of this science, the whole spectrum of mental illnesses and psychological “complexes” can be seen as based on various wrong or inverted relationships between the faculties of the psyche-imbalances that are produced by, and further reinforce, the mis-perception and veiling of the archetypal Principles by the tyrannical and deluded ego. Principial Psychology recognizes the goal of human development not simply as the healing of mental illness or a balanced adjustment to social norms, but as the attainment of a state of “ideal normalcy” based on a complete conformation of the psyche to the principles from which it springs-in other words, on the “salvation of the soul”. Just as mental health is inseparable from moral development, so self-knowledge is impossible without self-transcendence.